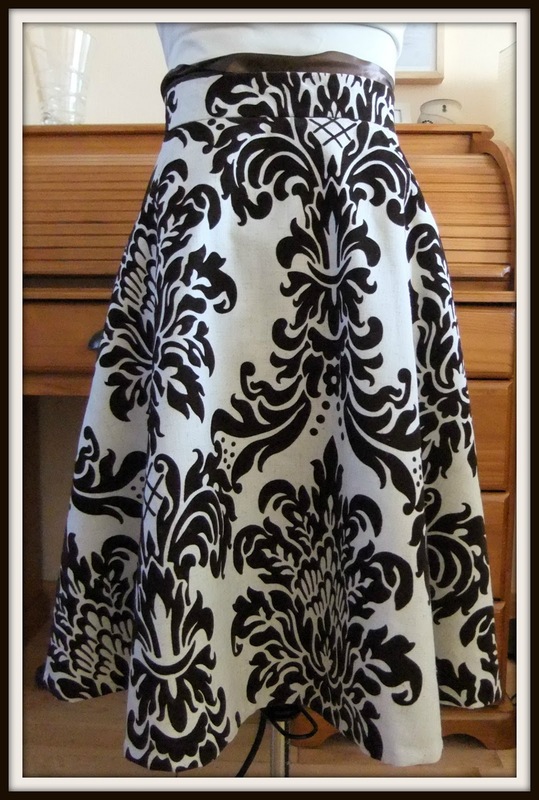 After the success of my Victory Patterns Madeleine Skirt - No1 (which I wear A LOT), I thought I would make another one, and here it is! I am so pleased with it! 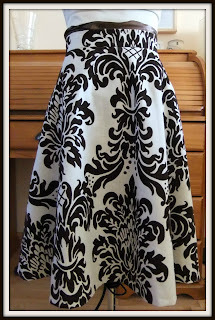 I LOVE the fabric: it's a linen mix, and came from Sew N Sew in Belfast. It was between £4 and £5 a metre (I can't remember exactly), and I bought 2 metres. I had gone in to buy something else entirely, saw this, and couldn't get it to the till quick enough! My love of a mad 1970s print is immense, so resistance was futile, and the brown bits are sort of velvety like flock wallpaper, yey! Also, it is replacing a skirt I bought in H&M a few years ago which is a similar shape and colour (but it also had orange in it). It is now in the recycling bag as it has been worn/washed to death, and part of a seam was coming apart. I made three mods to the original pattern. The first was to the zip and waistband. 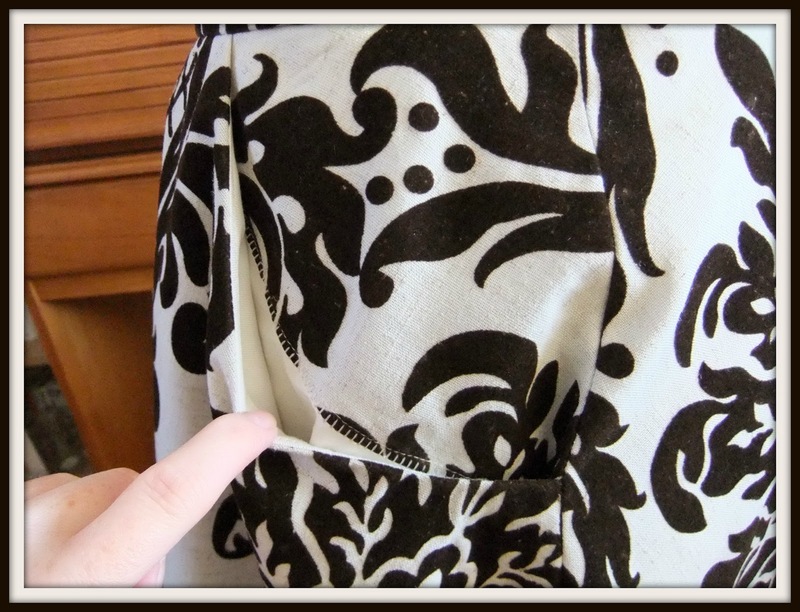 On the pattern, it's a lapped zip which finishes at the bottom of the waistband. The waistband then overlaps above the zip, and had a button in it. I used a invisible zip, and put it right up to the top of the waistband, so there is no waistband overlap. You can see this in the photo above. The second was to the pockets. 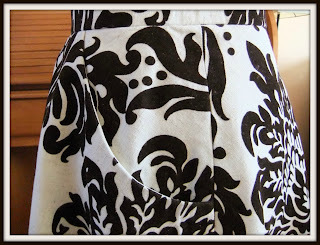 The pockets on the pattern are fabulous great big pockets that sit on the outside of the skirt. I thought they might look a bit busy with this printed fabric, and I didn't have enough of it anyway. So I made smaller inside pockets. I took the pocket pieces from one of my Simplicity patterns, and used them as a template. I really should have taken some photos of this, but I didn't think to. 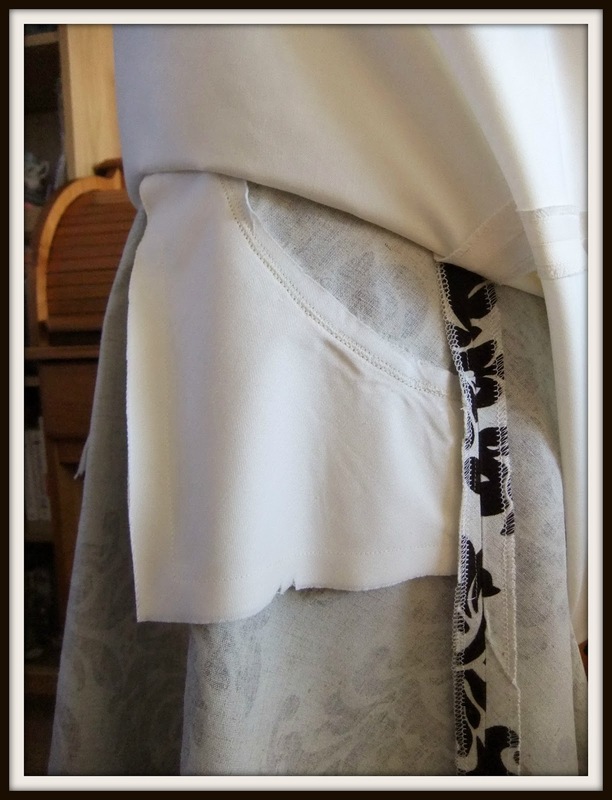 I laid the back pocket piece on top of the front skirt piece, matching the outside corners and the top edge. Then I made a new back pocket piece using the outside edge of the skirt seam as my pocket edge. I also did the same with the two pocket inside pieces. I'm not explaining this very well, but it was sort of intuitive when it was all in front of me! I used cream polycotton for the pocket insides, and had to also use it on the back pocket piece as the brown would have shown through. 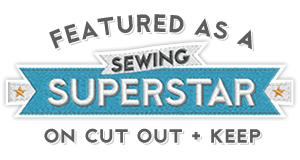 I cut this piece in two parts with an overlap, which I stitched together with a decorative blanket stitch. Here's a pocket from the wrong side - hopefully it makes a bit more sense. I also lined it with cream polycotton. This is where mod number three came in. As you can see in the photo below, the inside of the waistband is cream. On the pattern the waistband is one piece which is folded over. This wasn't going to work because, again, the brown would have shown through. So I folded the pattern piece in half, added a seam allowance to one long side, and cut one piece in the main fabric, and one in the lining fabric. 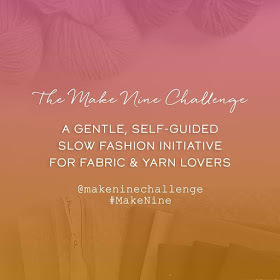 Oh my word, thatis inspired using Madeleine with such a print! I have only seen plain versions, and I love it with a pattern!!! 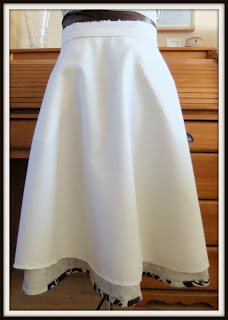 It basically shows the skirt's flow and swooshyness without the pockets taking all the glory. Great skirt! That's a lovely skirt. It's so difficult to find different skirts, I never think to make one, I only seem to make frocks, I must try making a skirt one day soon. 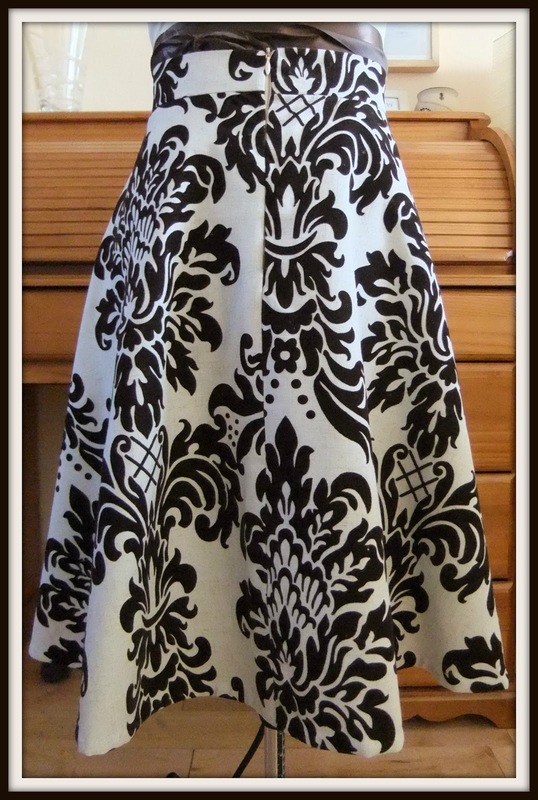 What a completely fabulous print and it doesn't overwhelm the skirt pattern or you. Amazing! Love it. Very nice - i liked your mods, too. Looks great Ozzy, great fit.